Many students gather on the Quad as a way for organizations to reach out to other students. On Thursday, Feb. 2nd, the Illini Hillel encouraged student solidarity through letter writing. The Illini Hillel ran a tabling event on the Quad Thursday aimed to encourage inclusivity and positivity. Illini Hillel is the center for Jewish life on campus. The tabling event was to give out free chocolate to everyone and then to write a message to promote campus inclusivity and to show that everybody on campus should be respected. 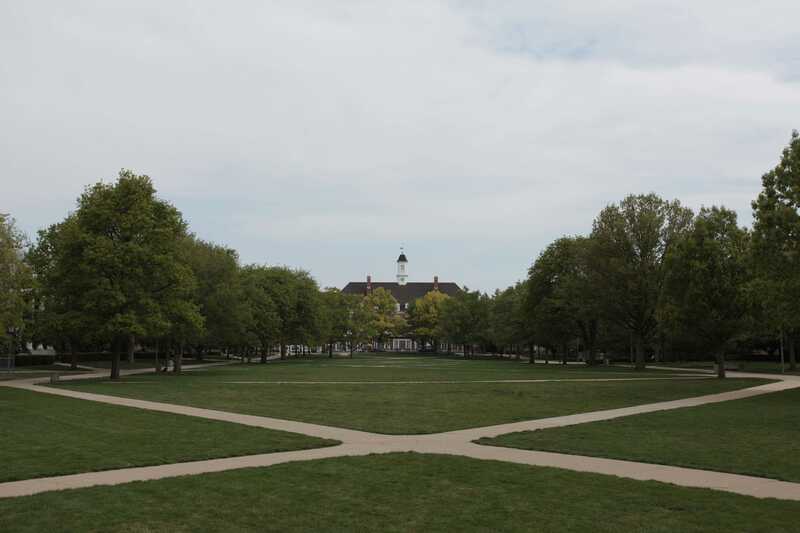 In an email, president of Illini Hillel, Danah Kirsh, said that the campus is experiencing a trying time with the emergence of a Divestment campaign. She said that it’s important for students to remain positive and unified. “In a time where we see a culture divisiveness on campus and in the broader community, the Jewish community at the University of Illinois is coming together to call for campus-wide unity, understanding, and inclusivity,” Kirsh said in an email. Elana Blinder, sophomore in LAS, who is an active member in Illini Hillel, said that she thought it was really important to send the message that everyone on campus should be a part of a diverse and accepting environment. “Especially today with President Trump in office, right now is really really essential that everyone comes together to be inclusive and accept each other and help each other to united as one,” Blinder said. During the tabling session, Illini Hillel got a lot of people stopping by and wrote messages. “We have posters right here that is colorful and everyone’s writing in markers saying ‘respect all’, ‘love is love’, ‘love is all you need’, ‘treat others the way you want to be treated’,” Blinder said. The Illini Hillel and Chabad worked with Illini Public Affairs Committee, or IlliniPAC, and Illini Students Supporting Israel, or ISSI, to share picture and encouraging messages from the event on social media. In an email, Kirsh said that the event is supposed to be happy, encourage positive social media use, and to show cohesiveness between Jewish students and everyone else on campus.